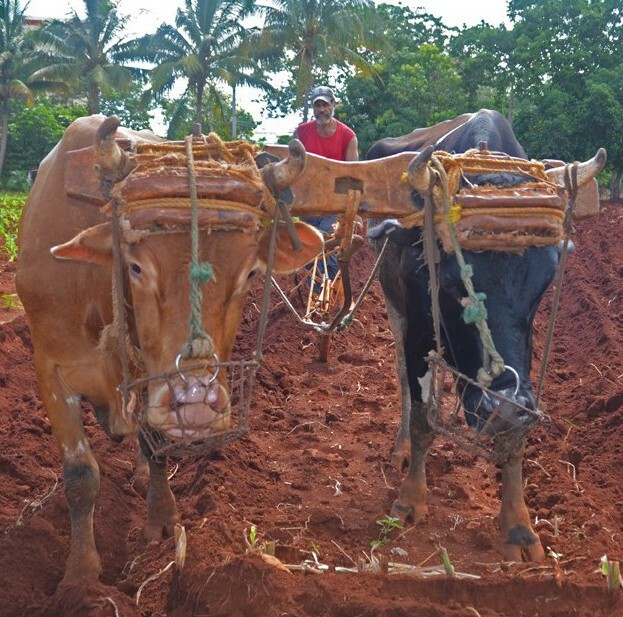 What Does the US-Cuba Détente Mean for the Culture Industries and Ethnographic Praxis? For over five decades in the U.S., “Cuba” has been wielded foremost as a political term, serving only secondarily as a geographic or cultural designation. The archipelago—just ninety miles from U.S. shores and rich in arts, sports, religion, medicine, agriculture, and history—has been largely off limits to U.S. citizens. Then, in a sudden announcement, the Obama Administration proposed to normalize diplomatic relations after more than fifty years of hostility between the two nations. Of particular interest to ethnographers is the fact that these recent changes to U.S. policy have focused attention on cultural and education industries as avenues of political reconciliation. The new U.S. travel regulations that allow U.S. citizens to legally visit Cuba have expanded particularly in the educational and cultural spheres. This opening will give ethnographers an opportunity to study not only Cuban culture, but also an unfolding trend in travel and tourism. Despite the end of the Cold War, an ideological conflict continued to play out between the U.S. and Cuba. Instead of a military confrontation, the political divergence manifested itself as the Battle of Ideas.6 This ideological battleground generated a belief in the liberating power of education and culture and defined the relationship between the countries—until last December, when the Obama Administration suddenly released Cuba’s political prisoners and proposed normalizing diplomatic relations. For decades the U.S. government had targeted cultural industries to incite insurgency and these became battlegrounds of ideas and ideologies; now educational and cultural industries are seen as avenues for travel and profit sharing, as bridges of peace. Whilst the United States is relaxing travel restrictions, Cuba is bracing for a stampede. “If it’s difficult to prepare for an eventual war, it’s even more difficult to prepare for an immediate declaration of peace,” affirmed Cuban scholar Carlos Alzugaray (Batista 2015). Surely the “forbidden fruit” of Cuban culture contributes to its appeal for U.S. tourists and consumers. I also suspect that part of the charm of Cuba for U.S. travelers is to see a country where there are no McDonalds or Wal-Marts; where riding in a 1957 Chevy classic car that runs on Russian Lada parts can be interpreted as an act of rebellion; or where limited internet access is a way for travelers to reconnect with themselves. The Associated Press reports that Cuba is simply not prepared to host the oversaturation of U.S. travelers expected in 2015 (Weissenstein and Rodriguez 2015). The overflow will lead to greater development of the private sector and the micro-economies independent of the state currently blossoming in Cuba. Small businesses geared toward providing lodging, food and entertainment such as bed and breakfasts, restaurants, salons, cabarets, and guided tours will experience a new boom. In order to be competitive in the market they will also be looking to upgrade their standards (from toilet paper to flat screen televisions) in order to draw clientele. Companies big and small will need to understand a Cuban environment in which business models do not prioritize advertising. The state-sponsored media networks do not offer commercials and the billboards that remain from the 1950s do not have advertisements—instead they present poetry from nationally heralded writers or address pressing issues such as water conservation. Foreign businesses need to adapt to these sociocultural conditions and will need ethnographers to help them understand new consumer research and qualitative marketing techniques, such as referrals. The new travel restrictions will also force U.S. travelers to change their approach to tourism if they want to visit. Rather than being allowed to stay in an all-inclusive hotel drinking mojitos, U.S. tourists will be required to visit a museum, tour a school, hear a lecture about the history of the nation, take a dance class, or engage directly with Cuban society by meeting and talking to its people. To visit Cuba, in other words, U.S. citizens are required to engage via educational platforms, making participant/observation the required travel method. Wouldn’t it be grand if U.S. travelers could be expected to engage culturally not only in Cuba, but in all foreign destinations? The recent amendments to the Office of Foreign Assets Controls (OFAC) regulations now permit travel to Cuba for professional research and meetings,7 education activities (inclusive of people-to-people cultural exchanges, previously requiring specific licenses),8 support for the Cuban people,9 humanitarian projects,10 public performances or athletic competitions,11 and activities of private foundations or research and educational institutes.12 Although U.S. travelers are still required to go on supervised group trips, just about any U.S. company or organization can design such trips without the lengthy documentation and inspections that OFAC previously required. Validation is based on the honor system, such that with a little organization and mild paperwork to justify an ethnographic encounter, the trip can be legal. One of the most tangible changes to Cuban Assets Controls Regulations is the legalization of U.S. debit or credit card transactions on the island and permissions that facilitate institutional banking transactions.13 The convenience and safety of using financial institutions, rather than taking envelopes full of cash, make travel much easier—not to mention fiscally dignified. The expansion of these categories is based on the idea that exchanges between people from the two countries will strengthen Cuban civil society. Yet, the results could boost both nations’ educational and cultural industries, not just Cuba’s. The trend could also ferment an innovative participatory-active travel design. Take for example a tour of agricultural cooperatives where visitors could experientially learn about urban farming techniques by tending small crops and sifting fertilizer. This type of engagement satisfies educational travel permissions and teaches visitors new unindustrialized practices, while also conjointly offering the local affiliate volunteer labor. Many people see the détente as an obvious sign of the times, but for companies and organizations that have been trying to get to Cuba, they are rather surprising. In 2014, Red Bull, the beverage company, was fined nearly ninety thousand dollars over allegations that it failed to get authorization to travel to Cuba to film a documentary on the island (Sheridan 2014). Today, this trip is allowed.14 Carlson Wagonlit Travel had to pay $5.9 million, and American Express $5.2 million, to the U.S. Treasury Department to settle complaints that they violated the trade embargo to Cuba because they allegedly booked travel from third countries (Myers 2014, Orsi 2013). In 2011, shortly before the previous expansion of the general license under the Obama Administration, specific people-to-people licenses were suspended for cultural tours by Harvard Alumni, The Metropolitan Museum of Art, National Geographic, Insight Cuba and the National Trust for Historic Preservation (Bachelor 2012). In 2009, the New York Philharmonic Orchestra cancelled a trip to perform in Cuba because OFAC regulations stipulated that the philanthropists sponsoring the trip could not travel to the island alongside the musicians (Boyle 2009). Up until December 2014, the Obama Administration was not, for the most part, forgiving or sympathetic toward cultural travel to Cuba. The sudden changes in U.S. policy seem in large part to be motivated by companies that do not want to be left out of prime Caribbean investment prospects just a few miles off shore. Private property, the confiscation of which was the motivator behind the U.S. economic embargo in 1961, is at the forefront of the dialogue for reconciliation and is a key indicator of change (Cave 2011). The Cuban government’s Portfolio of Opportunities for Foreign Investment (Feinberg 2014) highlights the nation’s development priorities in renewable energy, agriculture, and tourism. Alongside these investment opportunities, Cuba has recently erected the Mariel Free Trade Zone and is redeveloping its port as a major naval hub west of Havana (Macguire 2013). American agricultural companies also see potential to boost their economy with sales of products (particularly soy, wheat, dairy and corn) as well as farming equipment in the Cuban market. Led by companies such as Cargill, the United States Agriculture Coalition for Cuba, comprised of more than 30 American agricultural trade organizations and companies, describes their purpose to “re-establish Cuba as a market for U.S. food and agriculture exports” (USACC 2015). 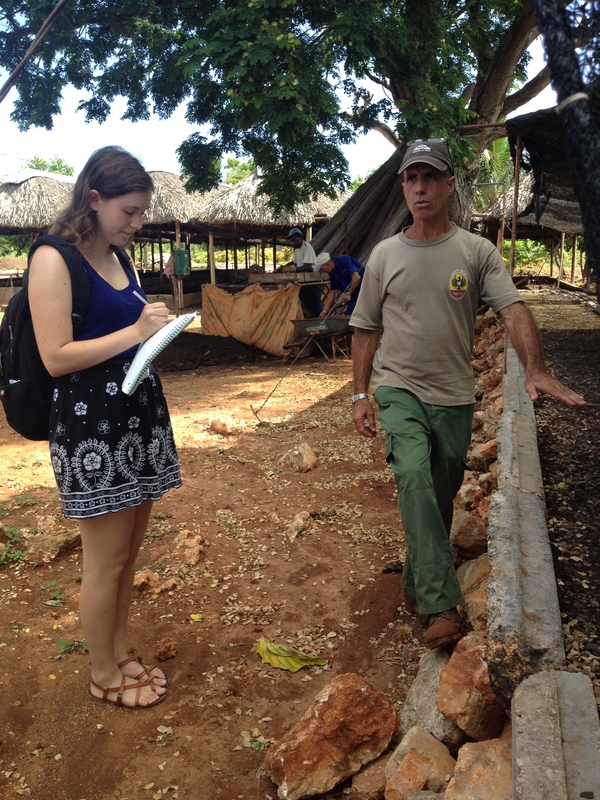 Ethnographers will be needed to assess what staples can best complement the Cuban diet and how these fit with customary cooking practices in kitchens where pressure cookers and modest gas appliances predominate. Businesses will also need to negotiate the intellectual property rights of agricultural and cultural products as well as media archives and musical repertoires (Weissert and Felberbaum 2009). The registration of trademarks, recipes, patents, and copyrights is the bread and butter of the cultural industries, and these reveal fundamental differences between socialism and capitalism regarding labor, private property, and social equality. In a romanticized attempt to socialize the nation, Castro removed individual intellectual property rights. Authorship became property of the state, and its architects were viewed as cultural laborers rather than as independent artists. Justified by the U.S. embargo, American publishers and distributors no longer had royalty obligations to its Cuban authors, allowing them to hyper-capitalize on Cuban copyrights. In 1974, Cuba joined the United Nations World Intellectual Property Organization and by 1988, the U.S. lifted restrictions on the distribution of cultural materials and re-established copyright payments to Cuban creators (Hernández-Reguant 2004).15 The relaxing of Cuban state control over the cultural industries resulted in the emergence of two kinds of cultural products and services, one for people on the island, and another for tourists and foreign markets.16 Now that royalty payments and registrations of copyrights are synchronizing between nations, new regulations introduced in 2015 allow U.S. citizens to purchase cultural artifacts and even bring home souvenirs, including rum and tobacco, which were previously outlawed.17 The changes are already propelling the largest exchange of collections in over fifty years to take place this summer between Cuba’s National Museum of Fine Arts and the Bronx Museum of Arts (Kennedy 2015). With two million Cubans residing in the United States, eleven million on the island, and a consistent new flow of U.S. travelers, telephone and internet communication between nations is bound to experience new growth. The increased use of computers and cell phones for personal consumption in Cuba, but embargoed components, has yielded a surge of new self-taught civilian technologists. Last year, Google executives who visited the island were impressed by the ingenuity of improvised parts, but also recognized a fertile market (Oppmann 2014). Media, internet, and communication technology, often seen as a cultural fault line between nations, will become increasingly important for ethnographic research—as will understanding the subtleties of Cuban technical innovation. It is within the socio-economic sphere of cultural and educational platforms that the Obama Administration is opening up travel opportunities for U.S. citizens to act as market ambassadors. Previous avenues of battle are now the proposed bridges of peace. As such, new enterprises are likely to be met with skepticism derived from the unethical practices of the past. Here lies the playing field for ethnographers to rebuild trust. 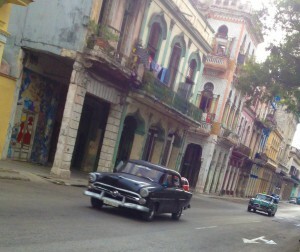 The Cuban government has welcomed the détente, but new markets and investors must work through established conventions. To trespass this protocol may seem tempting for profit margins but will be deleterious for long term collaborative business ventures. It is perhaps here, in the arena of political sensitivity, where ethnographers will be most needed to help American capitalist businesses navigate the Cuban socialist economy. For now, Obama is using his executive powers to ease travel restrictions. However, the executive decisions could be reversed by the next administration while the economic embargo remains in Congress. The greatest assurance of bilateral cooperation and long term profit-sharing is at the grassroots level. Educationally focused travel, cultural diplomacy, and ethnographic practices that provide qualitative assessments of bilateral market opportunities; these are the key elements that will define the new era of U.S. – Cuba relations. Batista, Carlos . 2015. “¿Está preparada la isla para el fin del embargo?” La Nacion. January 7. Web. http://www.lanacion.com.ar/1757985-esta-preparada-la-isla-para-el-fin-del-embargo Accessed on January 15, 2015. Bachelor, Blane. 2012. “Concern grows that legal US travel to Cuba could be in jeopardy” Fox News. September 10. Web. http://www.foxnews.com/travel/2012/09/10/legal-us-travel-to-cuba-could-be-in-jeopardy/ Accessed January 17, 2015. Boyle, Cristina. 2009. “New York Philharmonic Orchestra delays trip to Cuba after sponsors denied permits.” New York Daily News. October 2. Web. http://www.nydailynews.com/entertainment/music-arts/new-york-philharmonic-orchestra-delays-trip-cuba-sponsors-denied-permits-article-1.380734 Accessed January 13, 2015. Cave, Damien. 2011. “Cuba to Allow Buying and Selling of Property, With Few Restrictions.” New York Times. November 3. Web. http://www.nytimes.com/2011/11/04/world/americas/cubans-can-buy-and-sell-property-government-says.html?pagewanted=all Accessed January 18, 2015. Cuban National Assembly. 1999. Ley Nº 88 de Protección de la independencia nacional y la economía de Cuba. (Protection of the National Independence and Economy of Cuba) Havana: Cuban National Assembly. Feinberg, Richard. 2014. “Cuba’s Foreign Investment Invitation: Insights into Internal Struggles.” Brookings Institute. November 21. Web. http://www.brookings.edu/blogs/up-front/posts/2014/11/21-cuba-foreign-investment-feinberg Accessed January 6, 2015. Greenshields, Bill. 2010. 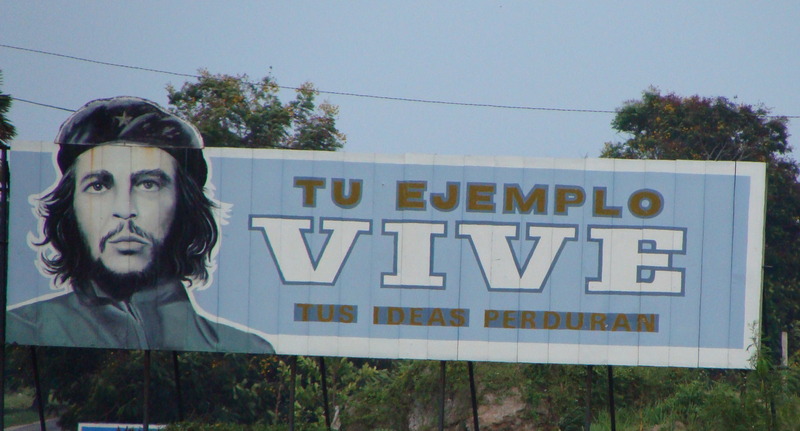 “Cuba's ‘Battle of Ideas’ - The Education System and The Revolution.” In Education Review. Winter2010, Vol. 23 Issue 1, p76-83. Hernández-Reguant, Ariana. 2004. “Copyrighting Che: Art and Authorship under Cuban Late Socialism.” Public Culture. Vol.16(1). Pgs.1-29. Kapcia, Antoni. 2005. “Educational Revolution and Revolutionary Morality in Cuba: The ‘New Man’, Youth And The New ‘Battle Of Ideas’” In Journal of Moral Education. Vol. 34, No. 4, December, pp. 399–412. Macguire, Eoghan. 2013. “Cuba libre: Could port herald new economic age for communist island?”CNN. November 20. Web. http://edition.cnn.com/2013/11/20/business/cuba-libre-could-new-port-communist/ Accessed January 18, 2015. Myers, Gay Nagle. 2014. 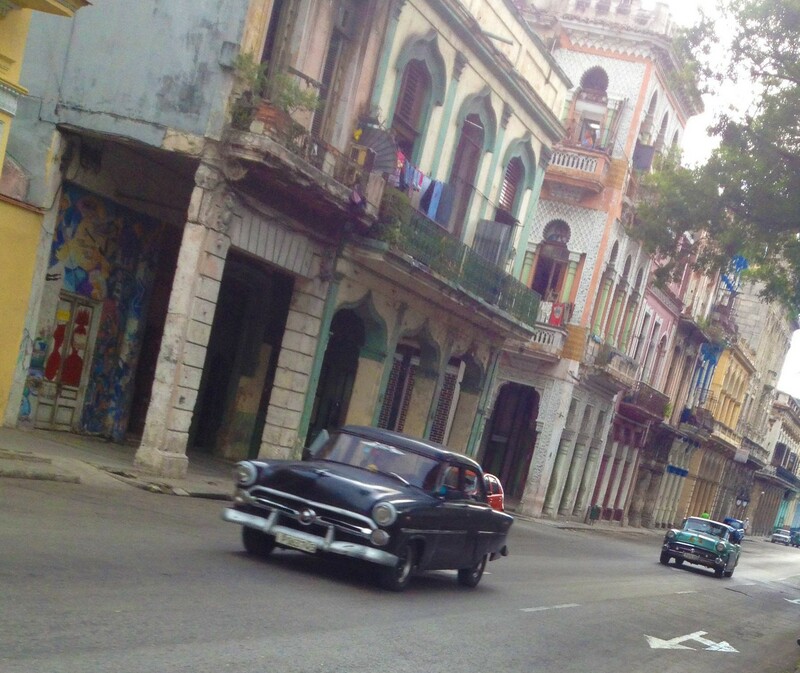 “Carlson Wagonlit To Pay Fine For Unlawful Cuba Bookings.” Business Travel News. April 23. Web. http://www.businesstravelnews.com/Business-Travel-Agencies/Carlson-Wagonlit-To-Pay-Fine-For-Unlawful-Cuba-Bookings/?ida=Travel%20Mgt%20Companies&a=trans Accessed January 13, 2015. Orsi, Peter. 2013. “Cuba criticizes US embargo fine for AmEx, bank.” Associated Press. July 30. Web. http://bigstory.ap.org/article/cuba-criticizes-us-embargo-fine-amex-bank Accessed January 4, 2015. Powell, Collin (Secretary of State, Chair). 2004. “Commission for Assistance to a Free Cuba Report to the President – May.” Washington D.C.
Rice, Condoleezza (Secretary of State, Chair). 2006. “Commission for Assistance to a Free Cuba Report to the President - June.” Washington DC. Sheridan, Patrick. 2014. “Red Bull settles with U.S. on Cuba violations claims.” CNNMoney. June 27. Web. http://money.cnn.com/2014/06/27/news/companies/red-bull-cuba / Accessed January 17, 2015. Sung, Carolyn. 2014. “Beyonce and Jay Z's 2013 Cuba trip declared legal.” CNN. August 20. Web. http://www.cnn.com/2014/08/20/showbiz/beyonce-jay-z-cuba/ Accessed on January 13, 2015. United States Agriculture Coalition for Cuba. “About.” Web. http://www.usagcoalition.com/ Accessed on January 18, 2015. Weissenstein, Michael and Rodriguez, Andrea. 2015. “Obama's new Cuba policy depends partly on hotel hand towels, growth of private guest houses.” Associated Press. January 16. Web. http://bigstory.ap.org/article/2e54d8617d5d429e8ed4bdaf658fcdc4/obamas-new-cuba-policy-depends-partly-hotel-hand-towels Accessed on January 16, 2015. Weissert, Will and Felberbaum, Michael. 2009. “Trademark wars: US goods carry famous Cuba brands.” The Seattle Times. August 28. Web. http://seattletimes.com/html/businesstechnology/2009767392_apcbcubausbrandwars.html Accessed January 3, 2015. 1. The Foreign Assistance Act of 1961 (22 U.S.C. 2370(a)), section 5(b) of the Trading with the Enemy Act (50 U.S.C. App. 5(b)), is commonly known as the embargo against Cuba which limited trade between nations and banned travel to the island by U.S. citizens. The Trading with the Enemy Act requires resolution of U.S. nationals’ expropriation claims before the embargo on trade with Cuba can be lifted. 2. The Cuban Assets Control Regulations (31 CFR, Part 515) were issued by the U.S. Government two years later on July 8, 1963 under the Trading With the Enemy Act. The regulations are administered by the Department of the Treasury’s Office of Foreign Assets Control (OFAC). 3. The Cuban Liberty and Democratic Solidarity Act (1996), Pub.L. 104-114, 22 U.S.C. § 6021–6091. 4. Four years prior to the Helms-Burton, in 1992, the passing of the U.S. Cuban Democracy Act (known as the Torricelli Bill) reinforced the embargo by prohibited foreign-based subsidiaries of U.S. companies from trading with Cuba. 5. Law #88, Protection of the National Independence and Economy of Cuba, passed by the Cuban National Assembly in 1999. 6. Cuba’s Battle of Ideas was an era of educational enlightenment birthed from the Elian Gonzalez incident of 1999. Gonzalez was a six-year-old young boy who had been taken by his mother on a raft from Cuba to Florida. She did not survive the journey and he was subsequently adopted by exiled Cuban relatives in Miami. The battle to return Gonzalez to his father, who claimed his son had been abducted, marked the beginning of a new post-Helms-Burton era, a new phase of the revolution’s trajectory bestowed by the mantra of the Battle of Ideas. Manifestations in support to bring back Gonzalez in Havana were led by youth groups such as the Young Communists Union (UJC) and Federation of University Students (FEU). The movement was interpreted as a reaffirmation and recommitment to Socialism by the nation’s young leaders, generating a common initiative to expand educational projects and improve life in Cuba, while also reaffirming its socialist political direction. The Battle of Ideas is a reform using two fundamental ideological codes, education and moralism, as the principal weapons for resistance to U.S. imperialism. For an in-depth analysis of the Battle of Ideas see Antoni Kapcia (2005). 7. Amendments to section 515.564 of the Cuban Assets Controls Regulations published January 16, 2015. 8. Amendments to section 515.565 of the Cuban Assets Controls Regulations published January 16, 2015. 9. Amendments to section 515.574 of the Cuban Assets Controls Regulations published January 16, 2015. 10. Amendments to section 515.575 of the Cuban Assets Controls Regulations published January 16, 2015. 11. Amendments to section 515.567 of the Cuban Assets Controls Regulations published January 16, 2015. 12. Amendments to section 515.576 of the Cuban Assets Controls Regulations published January 16, 2015. 13. Amendments to section 515.584 of the Cuban Assets Controls Regulations published January 16, 2015. 14. The making of a documentary film in Cuba would qualify for the general license in section 515.564 if it is a vehicle for presentation of the research conducted pursuant to the section authorizing professional research and meetings in Cuba. 15. Also known as the “informational materials exemption” found in § 2502(a) of the Omnibus Trade and Competitiveness Act, Pub. L. No. 100-418, 102 Stat. 1107 (1988). Sections 5 15.206 and 5 15.332 of the Cuban Assets Controls Regulations. 16. In 1997, Cuba signed the Berne Convention agreeing to update its intellectual property rights to international standards. 17. Amendments to section 515.560 of the Cuban Assets Controls Regulations published January 16, 2015. Melisa Rivière, Ph.D. is an anthropologist and lecturer in the Institute for Global Studies at the University of Minnesota. She has conducted fieldwork in Cuba since 1999. 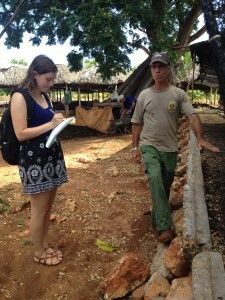 Dr. Rivière has directed study abroad programs to Cuba for SIT and the University of Minnesota. Currently, she is completing the manuscript for Son Dos Alas: Hip-Hop between Cuba and Puerto Rico.